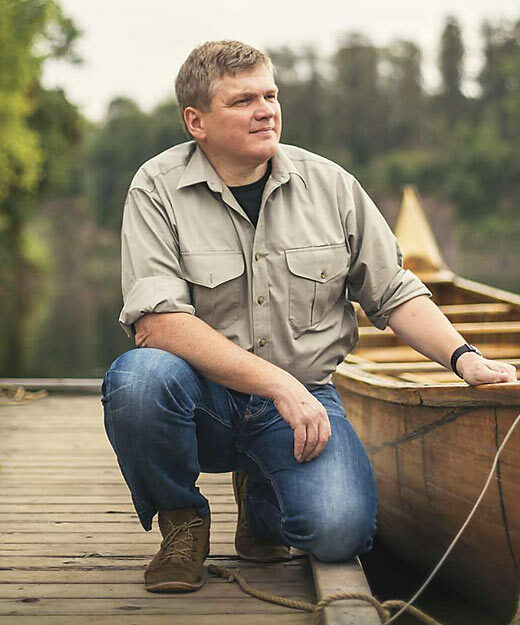 Ray Mears has been confirmed as the Saturday night speaker at this year’s Keswick Mountain Festival, where he will be giving two talks from the revered Theatre By The Lake. From their 400-seat Main House, Ray will be sharing tales from his time spent surviving, and observing wildlife in some of the most beautiful and challenging wilderness areas of the world. These talks will take place at 17:15 and 20:15 on Saturday 16th May 2015. For more information, or to book your ticket, please click here. Hailed by The Independent as “the most beautifully located and friendly theatre in Britain”, the venue is set a short stroll from Derwentwater on the edge of Keswick, amid the magnificent western fells of the Lake District. Running from Friday 15th to Sunday 17th May, Keswick Mountain Festival is a unique event in an unrivalled setting, offering adventurers of all ages and skill sets a mix of exciting outdoor activities, music and legendary speakers, set in one of the most beautiful parts of the Lake District landscape. Joining Ray on the speakers roster for 2015 are Leo Houlding, Doug Scott CBE, Andy Kirkpatrick, Joss Naylor MBE, Steve Birkinshaw and Alistair Brownlee. For full event information, please visit the Keswick Mountain Festival website. This entry was posted in Ray Mears and tagged adventurers, Doug Scott, Keswick Mountain Festival, Lake District, mountaineers, Ray Mears, talks, Theatre By The Lake, tickets, uk on February 18, 2015 by Woodlore Limited. know the top, it might offend you! One of the outstanding items i have seen in the week. I love this place. Expatriate Brazilian living in Leeds, West Yorkshire for 15 years, besides Yorkshire Dales National Park, Lake District is one of my favorites in UK. Plenty of outdoor activities and walking trails. Love it.